Du Quoin State Fair. We are very proud of our Du Quoin Fairgrounds, 1,600 acres of the most beautiful, lush grounds where you can enjoy walking, fishing, picnicking and camping ( with 1,500 hookups ) along with year round events that happen on the grounds, or maybe just do nothing but enjoy the view from the top of a hill. Host to major equestrian events, RV Conventions, motorcross races, monster truck and tractor pulls, demolition derby and more. Home of Southern Illinois' largest winter wonderland with over a million twinkling lights - "The Holiday Lights Fair"
In the 1920's, William R. Hayes attended the World's Fair in St. Louis, Mo.. He must have been very impressed because he came home and purchased 1,600 acres of reclaimed mining land so that he might bring some of that experience to Du Quoin. Because he had a love for Harness Racing, Mr. Hayes envisioned a Stake race happening on a 30 acre piece of his 1,600 acres, some day. In April 1924 an idea and implementation of a stake trotting race became "The Hambletonian". 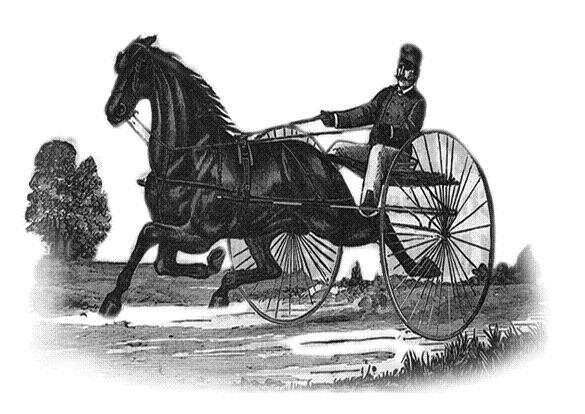 The managing committee, made up of 10 prominent breeders and officials became The Hambletonian Society. The inaugural running of the Hambletonian Stake in August 1926, was hosted by the New York State Fair at Syracuse. In 1930 Hambletonian No. 5 was awarded to Good Time Park in Goshen, New York. Some say that the Hambletonian established its identity at Goshen. When Bill Cane died in 1956, The Goshen era came to an end. When the Hambletonian moved to Du Quoin in 1957, many thought the move temporary with a return to Goshen in the plans after two years. Instead the Hambletonian stayed in the Midwest for 24 years, forging a new look and festive State Fair identity as if scripted by Rodgers & Hammerstien. W.R. Hayes, a Coca Cola bottler, built the Du Quoin State Fair on 1,400 acres in Southern Illinois. 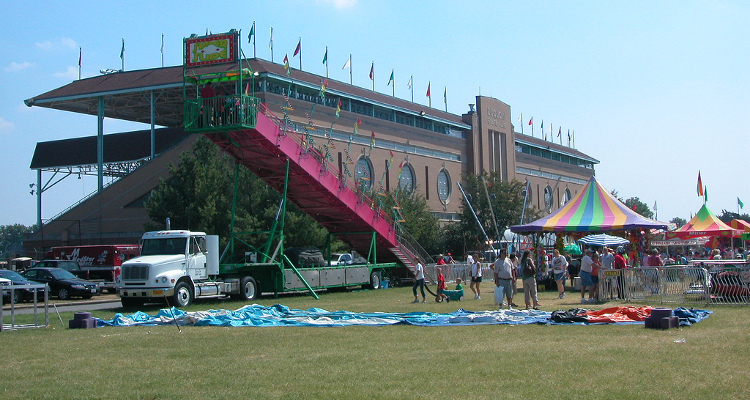 Every year, in the week before Labor Day, the country fair venue became the focus of the sport for horsemen, members of the media and fans from across North America and Europe. Southern Illinois, in late summer can be hot and humid, with thermometer readings of 100 degrees not uncommon. Combined with the mile clay track at Du Quoin, it was a perfect setting for trotting speed. Stake and world records were set and reset no less than a dozen times at Du Quoin, several times on the same afternoon. The Du Quoin State Fairgrounds race track is known throughout the circuit as the "Magic Mile". Du Quoin also became known as the site for great champions of that era to affix their place in the trotting firmament by way of impressive straight heat victories. In 1976, New Jersey Governor Byrne set his sights on bringing the Hambletonian to the newly opened Meadowlands. In the early 1980's the Hambletonian left Du Quoin and the World Trotting Derby was born. 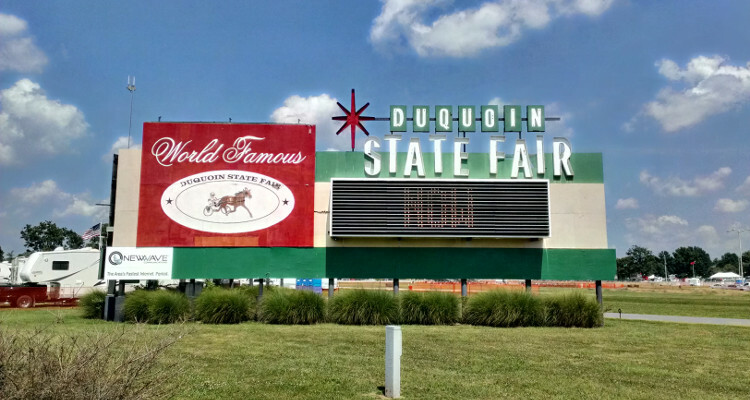 In 1986, the State of Illinois purchased the Du Quoin State Fairgrounds, ensuring the continuation of the annual Du Quoin State Fair and other non-fair events. In 2009 the last World Trotting Derby was run at the Du Quoin State Fair. 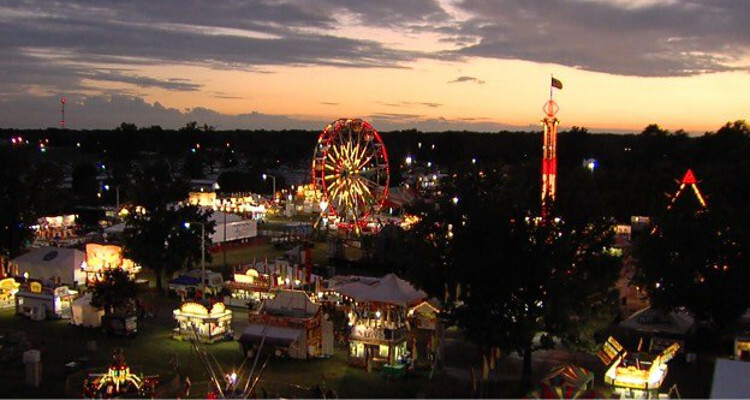 The Du Quoin State Fair continues to be an annual event for us focusing on agricultural aspects and events within the state of Illlinois, beginning 10 days prior to Labor Day and ending on Labor Day. 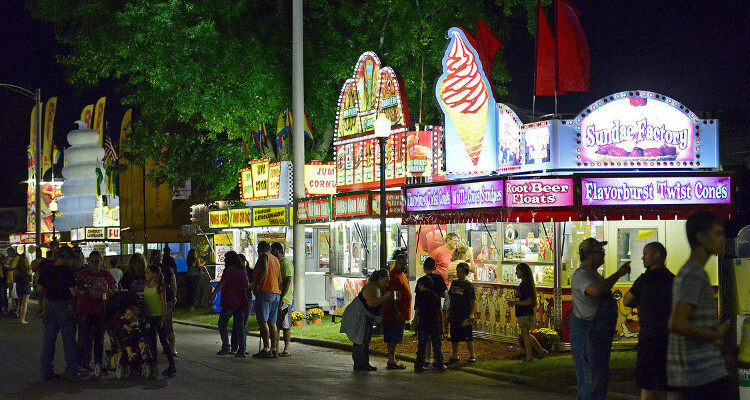 For a list of events during the fair you can check it out on our current events page or the Department of Agriculture for Illinois on the web.